To learn more, please navigate to each topic at the beginning of the page. We are pleased to introduce appointment requests through our website, which allows us to efficiently make appointments for you and your pet. Our receptionists and team will attempt to accommodate all requests to the best of our ability. Emergencies are accepted anytime our clinic is open. If you feel you have an emergency with your pet, please call us or come in immediately. If possible it is best to call before coming in so that a staff member can advise you on your particular emergency. 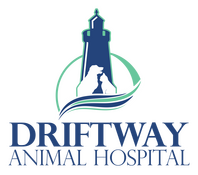 Driftway Animal Hospital offers discounted services to senior citizens, military and local area rescue groups. Pre-approval is required to qualify for the rescue group discounts, please call us for more information.